Corvette, is that really you? 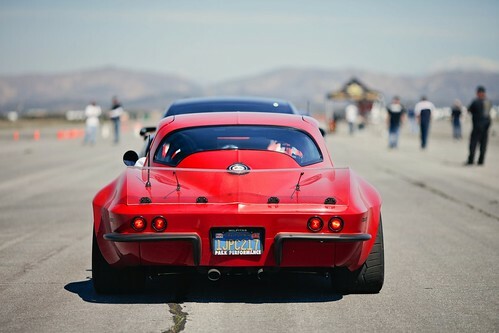 Not a lot of ‘vettes on this site, but this one certainly deserves to be. Even with just this one none-too-revealing image to go by, we’re pretty sure this is one of the baddest Corvettes we have ever seen. ~ by velofinds on May 17, 2013. If you’ve ever watched any of the “GT Racer” series, you’ll find that these are very competent in vintage racing. yeah thats one bad to the bone stingray. That is amazing! I love it! I wish there was more info on it!